Hopefully this isn’t the last of “Seirei Produce.” Anyhow, in this chapter, Amane continues to “rock” the school girl uniform. You have to admire his unwavering confidence. Plus, there’s more of the handsome Ookami the Blue. I’ll keep my eyes open for any more news on the continuation of “Seirei Produce” and I’ll update the status as soon as it changes. the next releases seem to be promising! @Just out of Time — thanks! I'm uploading the update. “Amanen” is the nickname Fuuta made up for Amane. @Cascade and CatzCradle — thanks for your support. That good that were appearing again hereabouts really they were surprised muchisimo I wait that not esten with a lot of problems and all the demas. Very good this one the update me rei enough ^^ wait to know since seral you bring near I am very grateful. 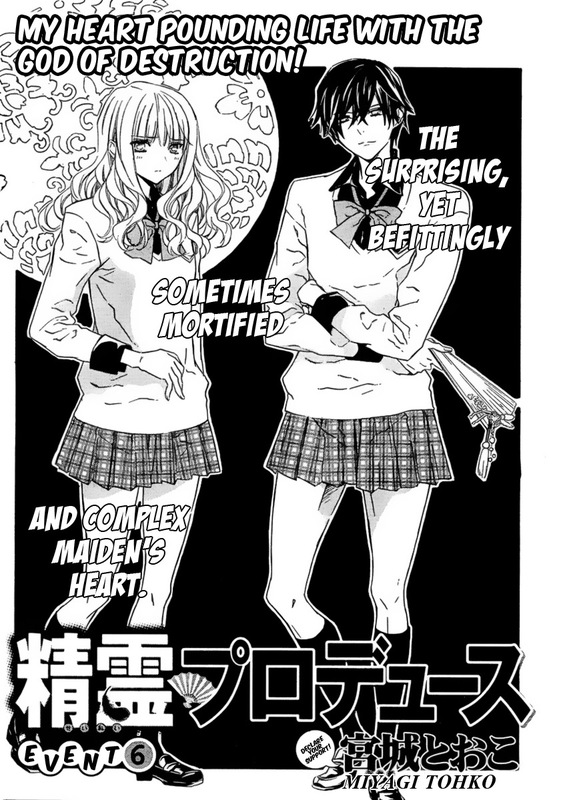 yeah Amanen totally rocks the skirt.. i love this crazy funny series! the chapter ended with 'to be continued' so i'm crossing my fingers!! thanks for scanlating this and tracking it… ^^ (btw am also looking forward to the long version Furou Kyoudai.. its funny and quirky…) thank you very much!! I let just a comment to inform you that this manga is online in a manga aggregation site(I don't want to mention here so I can let you the name by an other way). I read you are against that so I just wanted to inform you about. Anaway thanks for the awesome work of your team.